The variety of water heater brands to choose from can make things confusing. Thus, doing research before your purchase is essential..
Water heaters use an energy source to heat water above its initial temperature. It is typically used in houses to cook, clean, bath, and space heat. 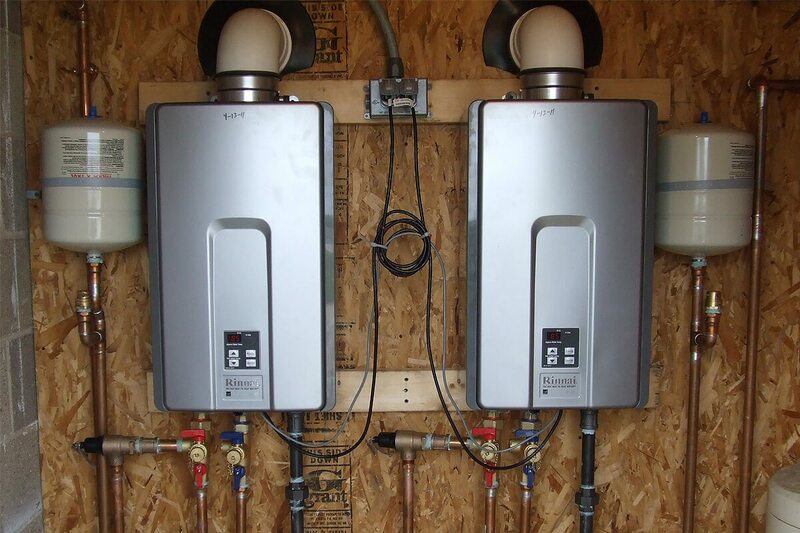 Water heaters are an important component of your home, thus it needs to be chosen wisely. Before purchasing a water heater, you have to consider the many water heater brands; their water holding capacity, water heater type, important warranties, displays, devices, and valves. Most water heaters are sold on the gallon capacity they can hold. If you plan to purchase a storage-tank water heater consider the first-hour rating and consider the gallons per minute. The capacity will determine the amount of hot water it can dispense over a period of time. There are several types of water heaters, consider the amount of hot water you use and the mode on how it heats the water. Some of the water heater types cut the energy costs by up to half of a regular water heater model. This is the most common type, it consist an insulated tank where the water is heated and stored. A pressure-relief valve and temperature valve opens when it exceeds the preset level. A gas water heater of this type costs less than the electric water heaters. Tankless water heaters use a heating coil to heat the water when you need it. It is said to be more efficient than a storage tank but has a limited gallon per minute rate. The gas water heater of this type is more cost efficient than the electric water heaters. It captures heat from the air and transfers it to the water. It uses 60 percent less energy than the standard water heaters. However, it needs a 7-feet clearance from floor to the ceiling and it does not work well in cold environments, it needs an environment that ranges 40 to 90 degrees. It has a roof-mounted solar panel that absorbs the direct heat of the sun and converts it to an antifreeze fluid in a closed loop system that runs to the water tank. This is the choice if you tend to heat with gas and needs 55 gallons. It captures exhaust gases that go out of flue, which in turn waste energy. The gas is blown through a coil in the base unit, where cold water absorbs most of the heat. Natural gas is an economical and environmentally-friendly way to heat your home’s water. Tank-type water heaters may take up more space, but they heat larger volumes of water to serve entire households. Electric water heaters remain popular and are the best option in regions where natural gas is limited or expensive. They also function well in homes that are supplemented by solar or other alternate electrical sources. Homeowners want the best water heater, those that are the most advanced on the market, and provides quality and efficient water heater. We have to know the best brands of water heater in the market. You may be using a storage-tank water heater before, but this brand of water heater gives you more reasons why you should change to a tankless water heater. It has a 9.8 gallons per minute capacity flow rate, and even with an increase in water usage, it has a 95 percent thermal efficiency thus, your gas bill will decrease. It uses a natural gas, this is best for those who are environmentally friendly. This water heater is perfect for small household, it has a capacity of 6.6 gallons per minute. However, this does not work efficiently on areas that are water-restricted. This is the best water heater that has a storage capacity of 50 gallons. It has a capacity of 81-gallon first hour rating. This water heater has an internal microprocessor that provides a precise sensor and quicker response for heating. Consumers love the control panel of the water heater and its quick installation. 50 gallon capacity of water and is perfect for a medium-sized household. It has a capacity of 86 gallon first-hour rating. There is a simple push button ignition system makes for safer startups, while the tank’s lifespan is increased by a premium grade anode rod. Those who have owned this model for a long period of time have noted that there is no leakage, and hot water is consistently provided. 50-gallon hybrid model is four times as efficient as standard electric models and is estimated to provide an energy cost savings. This heater has a program which makes it compatible with the Econet WiFi kit to provide instant mobile alerts. This hybrid is easier to install than you may think and includes a premium brass drain and stainless steel elements to make maintenance a breeze while extending the tank’s lifespan. This electric model is one of the most popular electric water heaters, it can provide up to 10 gallons more per hour. It has exemplary features such as self-cleaning, stainless steel elements, and vacation mode. When purchasing a water heater consider the years of warranty it covers. Most water heater brands offer very good warranties today but be sure to choose a brand that covers the longest warranty available. Do not purchase a water heater that builds up a mineral scale, it can shorten the life of the heating element. Choose one with a brass drain valve as they are more durable and easier to flush out. Moreover, check the digital displays of the water heater you want to purchase, it shows you the pressure readings and other important information.